What should my next post be aboout? #50 — What should my next blog post be about? 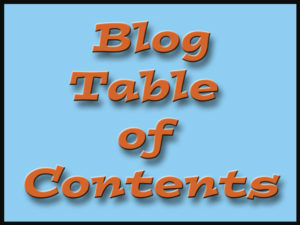 I have been doing the Writers of Kern Dan McGuire Blog Post Challenge of writing 26 posts in 13 weeks. I have finished 19. Usually I am in the process of finishing one post and I have another rolling around in my head, ready to be worked on. That process suddenly stopped. What should my next blog post be about? #56 — We all need playtime. Copyright © 2019 The Pelican Family Series. Powered by WordPress. Theme: Spacious by ThemeGrill.